This observation by American novelist Louis L'Amour seems to come alive through the likes of Lakhi Pal, a 104-year-old woman from Assam who is looking forward to exercise her franchise in the coming Lok Sabha elections. Lakhi Pal's family lives, in a small house near the Moranahat Railway station in Assam's Charaideo district, with her son and daughter. Her son is the sole breadwinner and her daughter Madhu Pal looks after her. The family is in pretty bad condition economically. Despite old age infirmities, Lakhi says she is excited to vote. "JaiBu (Will go)," says Lakhi when her daughter asks in a raised voice. Lakhi is hard-of-hearing. "She (Lakhi Pal) says, I will go to vote. She says this is a way to respect the nation," her daughter Madhu explains. The family has been promised by the administration that arrangements will be made so that Lakhi can cast her votes. Charaideo's deputy collector DK Sandike met the family some days ago and assured them of arrangements made for them to cast their votes.
" They (administration) said if she is willing to go, we will take her to the polling booth," says Madhu. Talking to ANI, Madhu says that her family has not received any benefits from the several public welfare schemes, be it Ujjawala Yojana, Indira Awas Yojana or others. "We have not got anything and I don't even know how to apply for it," says Madhu. 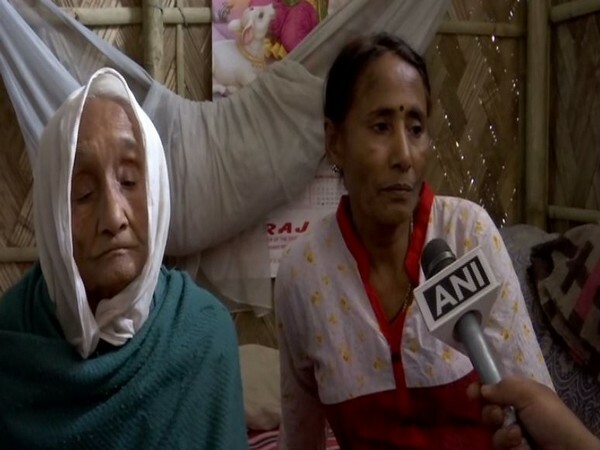 However, she says the family is able to get by with the old-age pension that Lakhi receives monthly.